There are many ways in which you can get your carpet clean. This includes the oldest method of sweeping or beating them out. However, this is tiresome and doesn’t get them very clean. 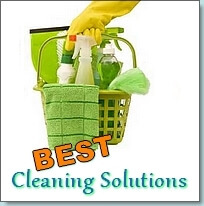 Other methods of cleaning include dry cleaning, using dry compounds, shampooing and vacuuming. Then, a new method was born called steam cleaning or hot water extraction which is actually a combination of many of the old methods plus a few new ideas. The method of hot water extraction referred to as steam cleaning actually does not involve very much steam. If there is steam, it is quite accidental and due to the high temperature of the water. In order to use this method of cleaning, you need to purchase or rent an appropriate carpet steam cleaner. The water is then heated in the tank and an appropriate amount of cleaning solution is mixed in. This mixture is then sprayed into your carpet at a high pressure and is basically forced deep into the fibers of your carpet. This causes the deeply embedded dirt to release from the fibers and dissolve into the water. After, the soiled water is suctioned up by a powerful vacuum and the process repeated to cover the entire carpet. 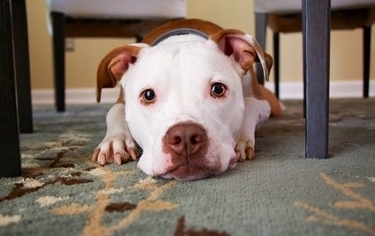 Before you start cleaning your carpet, the first thing you want to do is to completely clear the area. The last thing you want it to have to be picking toys and other objects while cleaning. Of course, there will be objects that are too heavy to move such as your furniture. One easy tip is to use plastic wrap around the legs. This will “water proof” them and ensure that they are kept dry while you are steam cleaning your carpets. This is important because you certainly don’t want them to leech wood stains or dirt back into your carpet. Another tip is to pre-treat any stains or heavily soiled areas on your carpet first before you get started steam cleaning. You can use one of the many stain removers available such as Oxy-clean, Spot shot, BlueMagic or any of your favorite solutions. Another tip, which is more of an obvious one – read the manufacturers instructions! Yes, I know… no one likes to read instructions, but I highly recommend that you do. You should use the recommended amount of solution – not more or less for the best results. Also, in using the machine, be careful not to over soak your carpets with water and be sure to vacuum out as much as possible. The more water that stays in your carpets, the more they are exposed to the risk of growing mold, mildew and attracting bacteria. A last tip is to use a high powered fan or fans on your carpets when you’re finished steaming them. This will ensure that they become completely dry. Now that you know that steam cleaning or hot water extraction is the best method of cleaning your carpets, should you buy one? Carpet steamers come in a huge range of prices and vary a lot in features and quality. 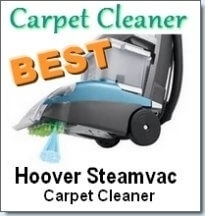 It is recommended that you purchase a carpet steamer if you have carpets that get dirty frequently. Do you have a large family, pets and kids? Then you should definitely consider buying one. 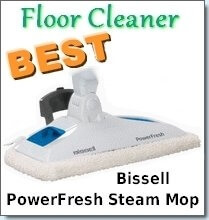 You can review our article on the best carpet steam cleaner for your best options. Of course you can always call in the professionals like Stanley Steemer or Sears Carpet cleaning. However, these services are costly and it is even more costly to hire them on a regular basis. If you are a busy professional or have a small family or don’t want to clean yourself, this is your best option. 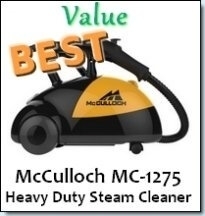 You can review our article on carpet steam cleaner rental services to choose one.